Take Molecule 01 on your travels! 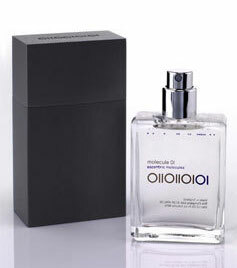 We make no secret of the fact that Molecule 01 by Escentric Molecules is one of our all-time favourite fragrances. It's the scent that's always guaranteed to get someone asking you "What are you wearing?" every single time you put it on. And we're in good company - Daisy Lowe, Naomi Campbell and Kate Moss are all fans. Now we can take it on holiday too, as it comes in a 30ml travel size - hurrah! The dinky bottle is just as cool and minimalist as the full-size original and it's ideal for keeping in your handbag or packing in your suitcase for spritzing on the go. Developed by Geza Shoen, one of the hottest perfumers around, Molecule 01 is an innovative fragrance that melds with your natural pheromones to create a scent that is completely unique to you. The scent is created solely from the aroma-chemical Iso E Super - a basenote that works as more of an effect than a fragrance. You will rarely smell this fragrance on yourself - but boy, will you notice the effect it has on others! Howdy! I could have sworn I've been to this blog before but after checking through some of the post I realized it's new to me. Anyways, I'm definitely glad I found it and I'll be bookmarking and checking back frequently!